Readers of The Engineer frequently complain that graduates today often lack the practical knowledge and skills required for engineering in the real world. 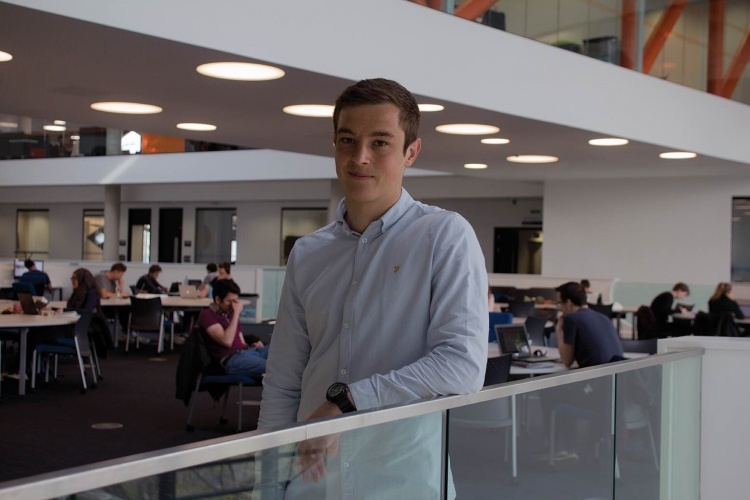 Run by the University of Sheffield, the SELA (Sheffield Engineering Leadership Academy) scheme is trying to combat this by providing a cross-disciplinary understanding of project-based engineering. 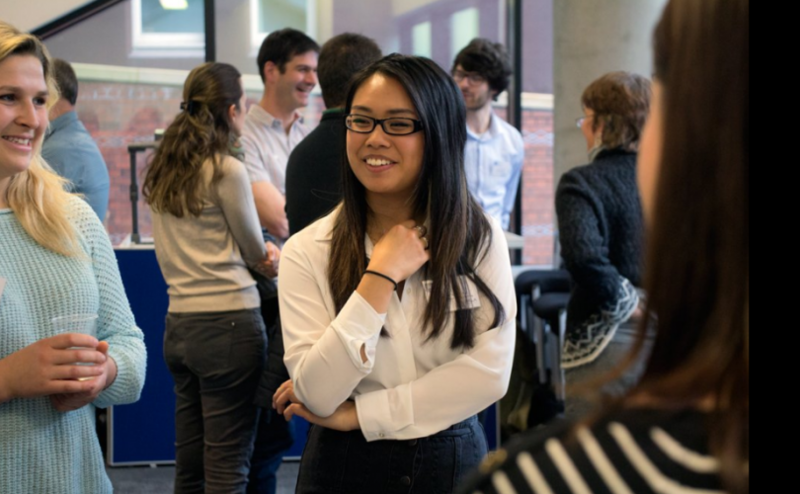 The extracurricular programme has been running since 2014 and is designed to equip graduates to take on leadership roles and create a positive impact in research and industry. This year’s cohort have been applying systems thinking to look at the UK’s energy landscape in a project exploring how to decarbonise the country’s energy system. The Student Engineer caught up with two of those involved, Jake Brown and James Featherstone, to find out about the scheme. What degrees are you studying? JB: I always enjoyed maths and science at school. I also enjoyed problem solving and working in teams and engineering combined all of these things. I specifically chose mechanical because it covered a broad range of topics and I wasn’t completely sure what I wanted to specialise in, mechanical allowed me to keep my options open. JF: For me, engineering allowed a real-world application of the maths and physics I’d learnt at school. Civil engineering, more specifically, was the career path I chose to follow because I wanted to be able to look back over my career and see a physical legacy of projects in which I had been involved. Being able to look at interesting structures and challenging civil engineering solutions in the future, and to say “I built that” is still what drives me today. I’ve been lucky enough to work on some fantastic, large-scale civil engineering projects during my summer placements and these experiences have further affirmed to me that engineering is the path I want to pursue. Why did you want to join SELA? JF: SELA provided a brilliant opportunity to learn new skills, work in a group of similarly driven engineers of the future and meet some extremely high profile leaders from industry. Since we were the inaugural cohort it was partly up to us what SELA became, which became evident as it organically grew and developed. SELA is very good at providing parameters within which we can work, but allowing creativity and a very large scope of potential solutions. JB: I realised it was getting more and more competitive to secure placements and SELA would give me the training and exposure to certain individuals that would allow me to separate myself from my peers. I also felt I had the skill set that matched the SELA attributes and I could help the scheme grow and contribute in a positive way. What did you learn from the 2nd year projects that you were involved with? JB: That there is more to engineering than just having a good technical solution. It needs to make financial, social and political sense and unless it fits all these criteria it doesn’t matter how good the idea is it won’t be successful. Also it is important to be able to influence those around you and be able to convince them in your idea and allow them to see the bigger picture. JF: The main learning point for me personally was thinking about a network rather than one or two specific subjects. The causality within a system became evident, and the complexity of issues such as energy were highlighted increasingly as we continued to explore the topic. Also, a key conclusion from our project was that politics and public perception are key drivers in almost every project – two things which are the hardest to change as an engineer. Was it a different experience than you were expecting? JF: The first year of SELA raised challenges such as leadership and team organisation. Although this project had elements of both of these, it was more of a collaborative project, in which a lot of time was spent digesting and analysing the information presented to us. This was a new way of working which we weren’t used to. Unlike the first year project where there was a clear deliverable at the end of the year, this project could have taken many forms and allowed a good amount of controlled creativity. JB: Yes, as I didn’t realise politics played such a huge part in whether energy engineering ideas are developed. At what point did you realise how it would turn out? JF: A few weeks before the final presentation of our findings and causal loop diagrams, when we still had talks lined up to further understand the hugely complex issue but hadn’t started formalising our ideas and understanding was when I first fully understood the enormity of the task – trying to simplify the vast number of opinions, technologies and challenges into a comprehensive summary. JB: If this question is referring to the project outcomes then after we spoke to Tim Yeo MP. After this, I realised that there is so much shuffling and changing of agendas at that level it is impossible to develop a standard strategy and actually implement it. It is too easy to just chop and change ideas and unless this is addressed, we will continue to drag our heels until it is too late. What were the biggest challenges that you had to overcome? JB: The biggest challenge was probably making sense of all the information between different viewpoints. Everyone was biased towards their tech and then it was challenging to decide which was actually the better solution. JF: Condensing the vast amount of information that we had been presented with by the expert speakers, who often contradicted each other, and providing simple but thorough maps of the information and causal loops was the biggest challenge – of course, this was the whole task and was designed to be difficult. Do you think projects like this should be incorporated into the broader engineering curriculum? JB: Yes, as these are real life scenarios that you are likely to face when you graduate. The ability to understand business, politics and work within it, is key to having a successful career and exposure to this in your studies can only benefit you. JF: I definitely think that projects like this should be commonplace on every engineering course. Multidisciplinary, long-term projects working on questions to which there are numerous ‘correct’ answers, with field leaders presenting their facts and personal opinions, proved to be greatly rewarding. Obviously, on such emotive topics as climate change and energy generation there are not only no right answers, but every solution is, by the project’s nature, very subjective. Other ‘wicked problems’ provide the same level of discussion and varied opinions. This means that the presentation and justification of the findings on projects like this are just as important as the solution itself. Should all student engineers be learning about complex systemic problems, no matter what their discipline? JB: Yes, as it brings together different ideas from different disciplines to give a holistic view of engineering in the real world. In the real world, engineering isn’t just mechanical or civil , it is also integrated with business, social and political aspects. So again this sort of exposure can only be a good thing. JF: Engineering, by its very nature, involves complex interactions. To make it specific to civil engineering, possibly one of the engineering disciplines which isn’t thought of as a ‘system’ – a student may be able to design a column or a sewer network, for example, but everything in the real world involves system interactions. Buildings have civil, mechanical and electrical systems, just to name a few. Transport networks have vast amounts of smaller systems within a larger system. These interactions and thinking in terms of the implications of one alteration on the rest of a system/network is vital. as does commerce, medicine, the application of science and technology, human relations (I did not say resources!) management, the arts…Indeed in my view and experience those who practise these noble activities – in the end manipulating nature’s laws to the value and benefit of all human-kind…..are well aware of the complexity of their work. Guess who is not? The shams! those who count-up or comment upon, or merely ‘sell’ or purport to be our leaders and thinkers and so on. Those who merely manipulate man-made- rules: too often to the benefit of whoever can and will PAY the most! hey are frankly incapable of the broad view that we, blessed with the study and practice of technology offer as a matter of course. Small wonder they get it wrong so often: and why we have to set them right time and again. I look forward to that Golden age when we get to do what is right first! Following on: fellow bloggers will be aware that I have had the opportunity to both work in and consult to many pivotal firms in the USA: albeit with a strong bias towards textiles, its machinery and processes. One can never fault the enthusiasm with which those on the other side of the ‘pond’ approach projects: and indeed the individual skills and abilities of Engineers in their ‘chosen specialised subject(s)’ . If they have a weakness (and I say it very quietly!) it is that they do not sometimes offer the breadth of view of peripherals that their depth of knowledge of specifics would suggest is there. I particularly recall an issue involving hydraulic fluid flow. Knowing the characteristics of such in piping of a certain dimension was vital: and my US counterpart was an expert. But, he could not link that to an understanding of the pump characteristics which ‘drove’ the system: nor add to that the specifics of the motor driving the pump. This is a simple example. but I hope that the young Engineers who are benefiting from the Sheffield course will recognise the vital and necessary comprehensive nature of an Engineers ‘mental’ tool-box. Add an understanding of ‘the Arts’ -CP Snow’s Two Cultures, equally important and a necessary aspect to an educated person…and you have it all! 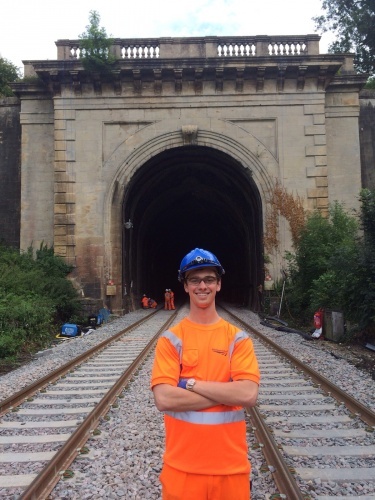 What a lovely picture of James Featherstone standing with Brunel’s triumphant arch at the western end of Box Tunnel behind him. If I recall, the wonderful man (which I am sure JF will also become! )arranged the orientation so that the morning rising sun shone right through the tunnel on his birthday! Such was his stature that I gather he told the directors of Gods Wonderful Railway he would provide, neither the cheapest nor the most direct route from London to Bristol but ‘the best’. Would that modern-day Engineers of all disciplines had the same kudos. Sadly, the clerks, whom IKB despised, have gained complete control: and I believe our Nation will not be Great again, as it surely was in his era, until we put ‘them’ back in the counting-house where they belong and as far from the board-room as possible. In fact, I did visit Box Tunnel many years ago: whilst attending a summer school of the Open University at Bath. We were studying “introduction to the Arts” and it was a revelation. Having had an education almost totally in science, mathematics, Engineering, where there is almost always a ‘best’ solution to any problem, I was looking forward to the opportunity to expand my horizons into a new field: indeed several. We were taught that properly referenced quotations, sensible argument backed-up by well researched and relevant evidence, breadth of wider ‘reading’ and so on were all quite acceptable, indeed essential to the freedom of academic expression now available in these new-to-me topics. You will imagine my surprise and concern to find out, when ‘marks’ were being allocated, that there was an ‘official’ and correct interpretation of any given view, idea, concept, scene, painting, music, building, play, and this was the one that the tutors (presumably from their tutors…and so on backwards into the past) espoused. I left after one year, extremely disappointed. Here I was believing that I was illiterate and un- and under-educated : only to find that my approach, one taught to me by the very persons supposedly my artistic ‘betters’ was wanting! Frankly give me IKB, equations, forces, structures, Natural Laws every time. I know where I am with these!